As part of its 10th anniversary, The Great Escape, Europe’s largest new music festival, asked the hub to carry out an impact study that would help inform the event’s artist development and programming strategy in the future. Our brief was twofold; firstly to review the impact of the festival in relation to artist development, professional development for those working in the music industry, audience development and economic impact – for Brighton and the UK, and within a UK music industry context; secondly, to scope out recommendations for its future development, again in relation to supporting artist, professional and audience development. 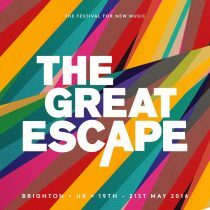 In the end, The Great Escape found our input so useful that they asked us back for another year, so we ended up working with them across their 2015 and 2016 festivals. Each year, we had around a brilliant response to the online delegate and attender surveys we put together, which we followed up with focus groups made up of festival attenders, convention delegates and musicians. In addition, we produced an economic impact assessment of each year’s event, using a methodology initially developed by Ruth Melville, one of our Research Associates when she was part of the Liverpool Capital of Culture team in 2008, which is now regarded as the benchmark for this activity in the creative sector. Doing all this enabled us to create detailed research reports detailing the event’s impact in terms of artist, professional and business development, plus its economic impact for Brighton and the UK at large. Our programme & marketing related strategic recommendations went on to informed TGE’s development of the event and its associated artist development programme, and we’re really chuffed to report that our work has enabled the festival team to secure new investment and go from strength to strength. Can’t wait to see what unfolds at TGE 2017!